We wouldn’t be able to cover professionally the vast array of customer requirements we do, if we didn’t have the right expertise and capacity. Our movers are specially trained and qualified to deal with all sorts of residential and commercial property relocations. The movers also act as professional removal drivers – worry not, they have the right set of skills to do both. Our teams will do the packing, securing and loading/unloading of goods prior to removal as they know how to do this right in order to ensure intact, on time delivery from A to B. Our removal vehicles are specially equipped – this greatly reduces the risk of damage to items in case of sudden breaking or even in the unlikely event of a light accident. All vans are clean, well maintained and tracked in real time using GPS. Our man and van Eccles may sound like a pricy service with all the technical capacity and qualification talk from above, but in fact we are one of the most affordable removal companies in the entire M30 area. We provide customised pricing and individually prepared service quotes, which reflect the actual scale and complexity of the job at hand. There are no hidden fees or other such nonsense. Eccles is a residential suburb in the City of Salford, Greater Manchester. Eccles is known to stick out like a sore thumb at times as its towering residential blocks are a bit of a stark contrast to the low lying Victorian housing that surrounds it. The area itself is known to have been inhabited since prehistoric times. The modern settlement however, formed much later – in the thirteenth century. Before the industrial revolution boom, Eccles was predominantly an agricultural community but things changed when the textile industry came and settled into town. 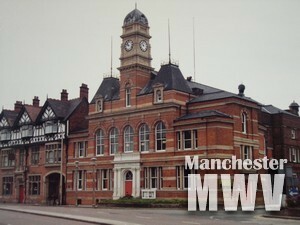 Another important factor which put Eccles on the map was the arrival of the first ever passenger railway – Liverpool to Manchester Line. Unfortunately, despite a flying start, Eccles too saw a decline it its local textile industry.